VICK GONE for Good this time??? I’m having a hard time wrapping my mind around where Vick is mentally. Self gives him a second chance and praised him repeatedly for his effort in camp and early in the season. If he could play consistently as he did early both this year and last, he would a first round pick. It would be a win win for all parties involved, He has a daughter maybe he is having issues with her, him quiting would basically put his NBA dreams on life support if there isn’t a lajit reason. Well, as has been said in so many ways here over the years, we have had it very good as KU fans. Our team wins way more than they lose, and as a top tier D1 program, we stay up there because of the nature of the beast that is college basketball. ( Hall of fame coach, ability to recruit, 1st class facilities, unparalleled tradition of excellence, and total commitment from the school to keep it that way) The rich stay rich. We were ranked #1 by many at start of season, a familiar spot. We have been temporarily kicked out of the pent house and are now down on the streets fighting like all the rest. And many other rival fans in the B12 and elsewhere are gloating about our troubles, and may be licking their chops. I fear (hopefully not too many ) at least a few more court storming in rival gyms coming up. Look at it this way…it’s a good time to be a fan. @Kcmatt7 99% of basketball players are like that. That really isn’t that surprising. Woe is us…lol. Our rebuild year off a Final Four is Top 15. Oh, the agony. Once again, i repeat … the season isn’t over…life as we know it hasn’t ended quite yet. We’re still making sausage, and no doubt this team has taken forever to develop. A few of the players have stunk so far. It’s not fatal- players can improve …teams can improve. Maybe the subtraction of Vick will help a few of the guys ( Charlie/KJ) to relax and play better than what they’ve shown. In fact, Charlie looked a lot better last game. No doubt he’s had his crummy moments, but it is what it is. Whether I’m happy or unhappy about it, the season will unfold as it unfolds. None of us know what our results will be, although many of us have a good idea about it. I simply know the chapter hasn’t been written yet, so there is still hope. I’m not going to sit around feeling bad over what’s happened so far- I’m going to look to the future, and hope for the best. They are like that because most D1 athletes have girls all over them since they have been on campus. A friend of a friend was on the Orange bowl team and we partied up there a few times with him and some of the football guys. Let me tell you every girl in that place was on them like mud on a pig. Damn, but both games are plenty winnable without him. Have you seen our last 6 road games? @BeddieKU23 We will win the next 3 games IMO with or without Garrett. Expect hell no but it is a winnable game. The Phog reporting Dedric and Self saying the anticipate vick returning. @KUSTEVE we talk about Q as a Malik comp, maybe Vick is the Malik comp, he just got more run than Malik bc of the lack of shooters. 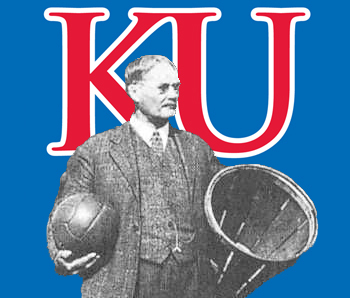 There once was a dream that was KU and it will be realized once again. It is the wish of the KU faithful. Read off 247 that Self and Dedric both Believe Vick will be back yet this year? - - - Whaaaaaaa ? Don’t give his number away, again, just yet! Vick my have more returns than Brett Favre. I thought you were going to say Brian Mitchell. This age of hyperbole! @mayjay Really good sentiments. Superbly written. We need more of that…even on this site. Thanks for sharing.